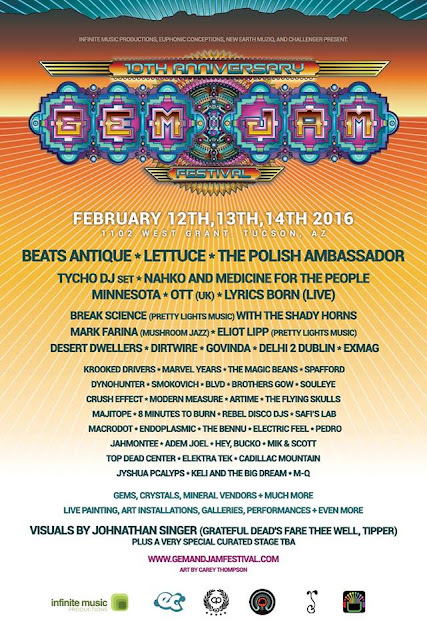 Challenger Presents is proud to once again be one of the producers behind the legendary Gem & Jam Festival in Tucson, Arizona. Join us from February 12 - 14 at The Green (aka The Slaughterhouse) at 1102 West Grant Road for an eclectic mix of visionary live art, music, installations, light shows, gem and mineral vendors, and much, much more! Headliners this year include Beats Antique, Lettuce and The Polish Ambassador. Checkout the full lineup below and be sure to drop by the Soulection Stage! 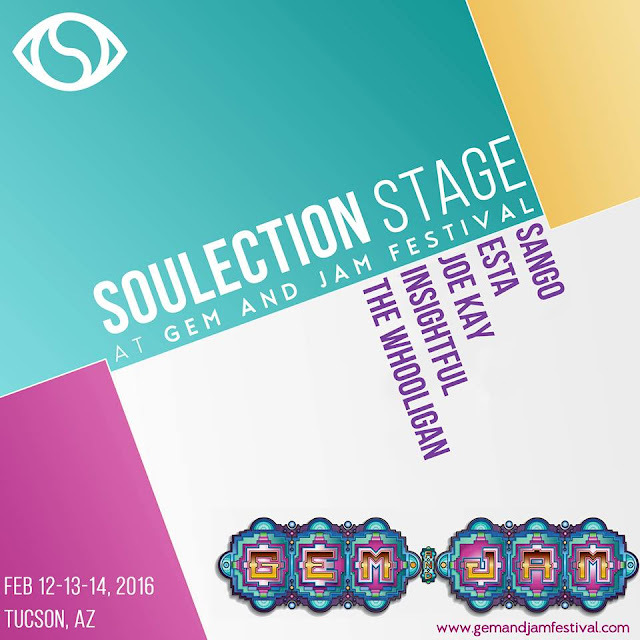 Sango, Esta, Joe Kay, Insightful and The Whooligan are scheduled to perform on the Soulection Stage at this year's Gem & Jam!